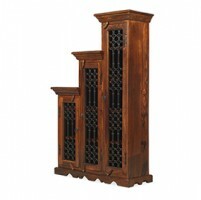 Hi-fi aficionados who still have separate devices will be thankful for this tailor-made unit. 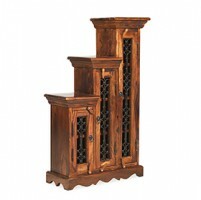 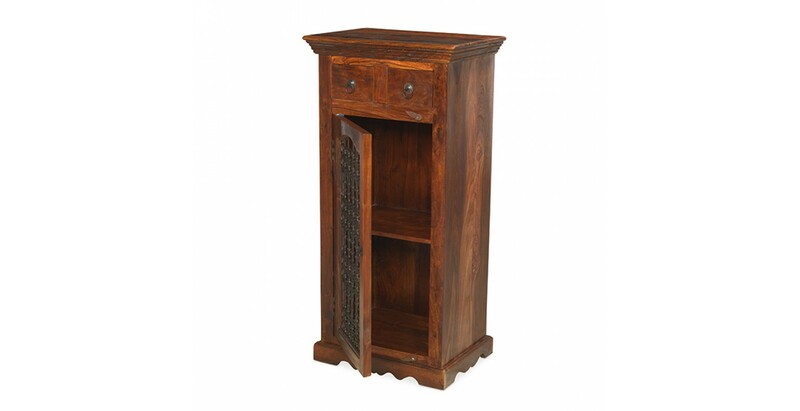 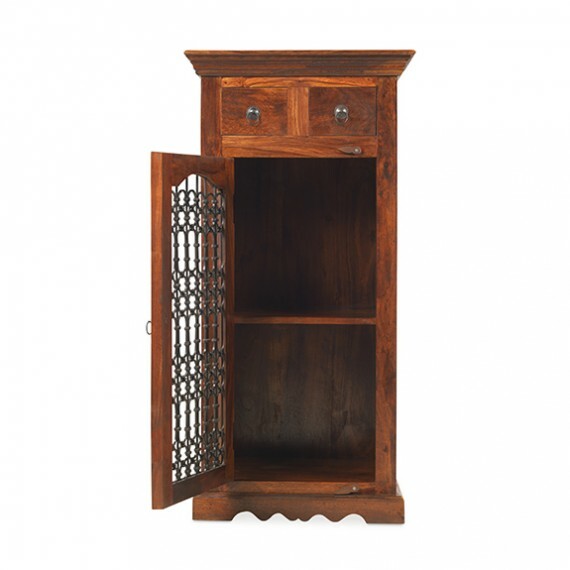 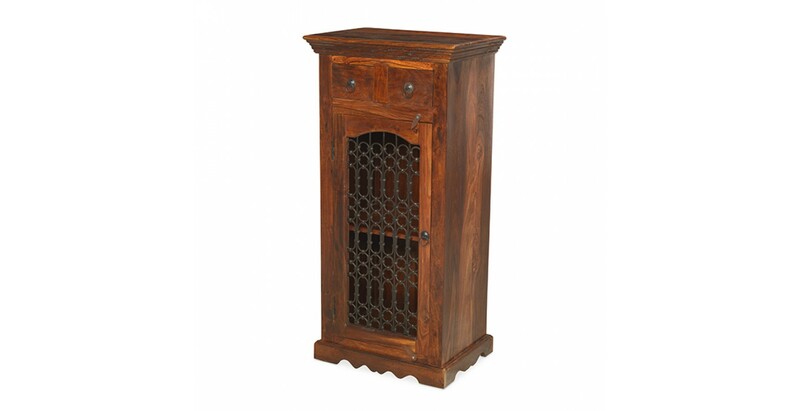 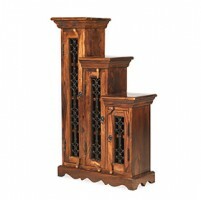 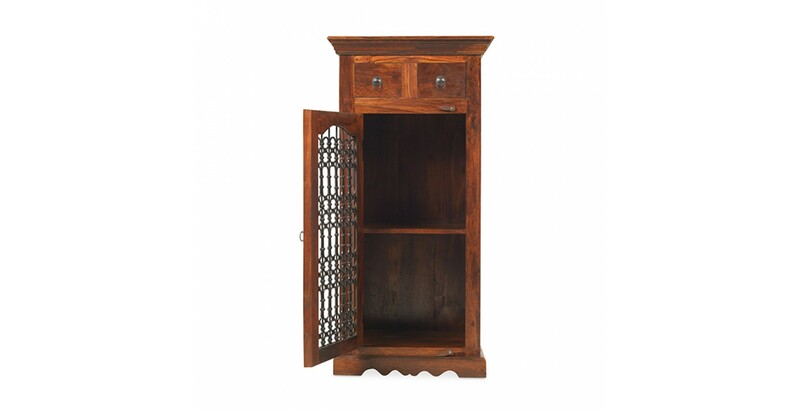 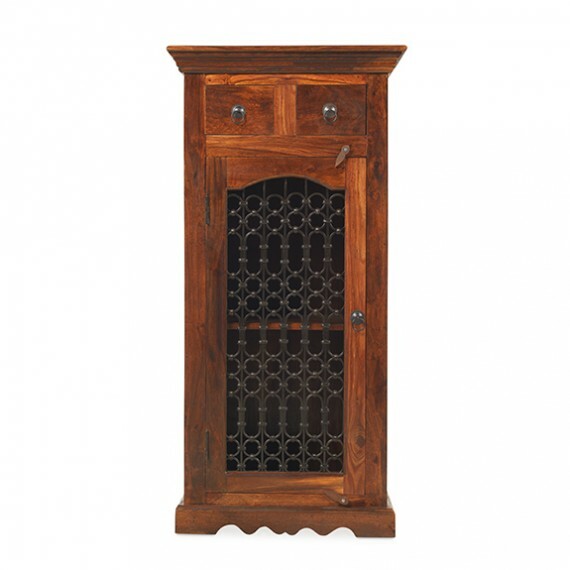 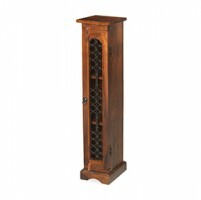 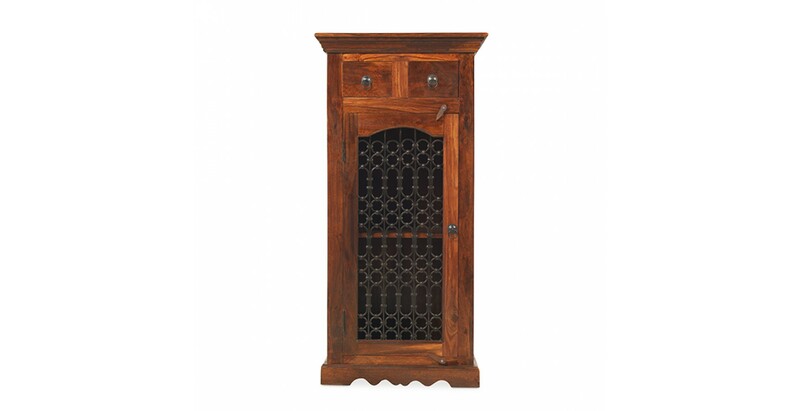 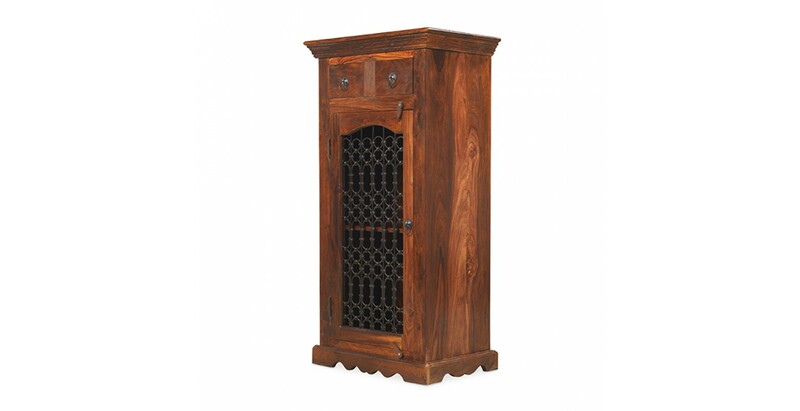 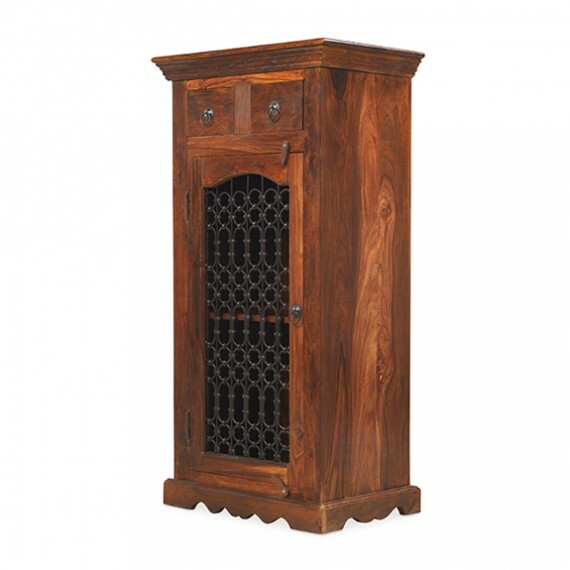 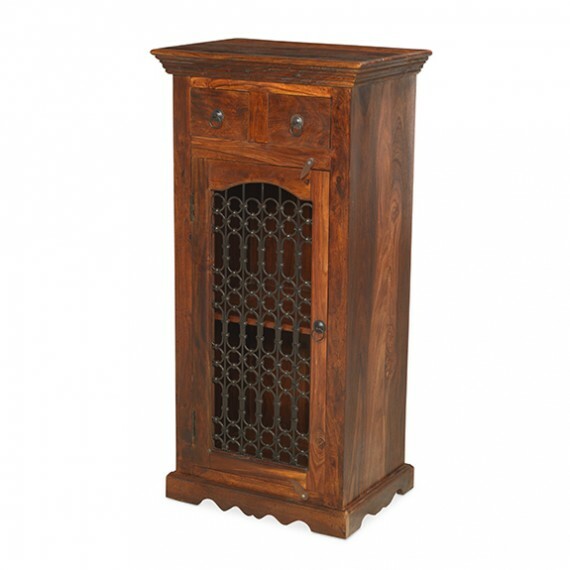 Superbly handcrafted from exotically dark sheesham wood to evoke colonial style, behind the intricate iron portcullis work on the door there are two sturdy shelves for your CD player, tuner and amplifier. 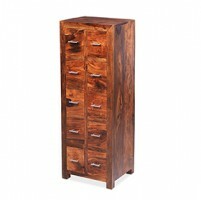 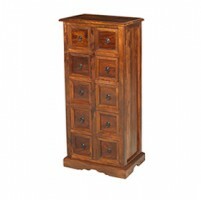 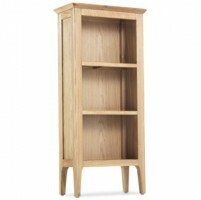 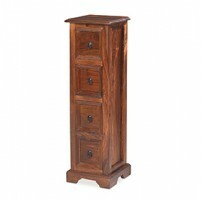 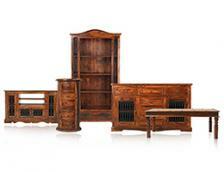 At the top, beneath the tapered cornice, are two drawers with metal ring handles which will hold around 20 CDs. 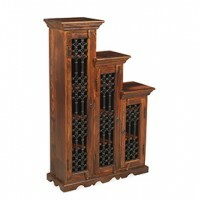 You will probably be able to fit a record player on top too if you so wished. 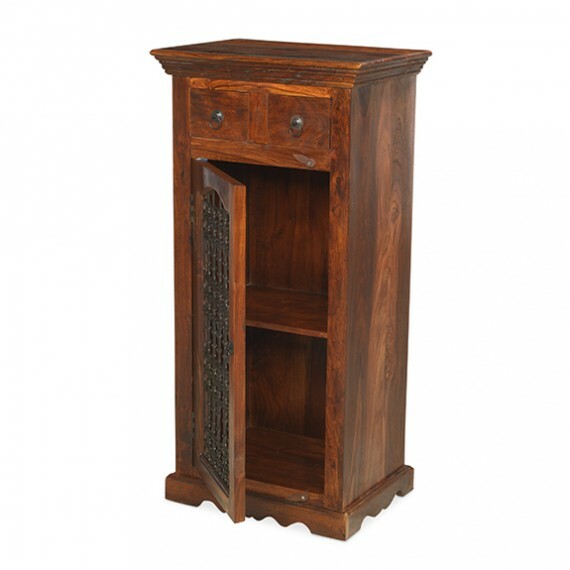 With a hand carved plinth and wooden door stoppers adding interest, the wooden parts have been given a Wax Lacquer Finish to keep its colonial-style charms in tip-top condition.